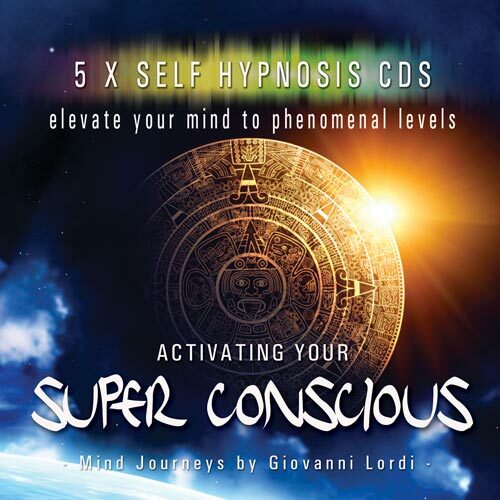 The MP3s (or CDs if you choose that option too) in this pack were all personally chosen by Giovanni because they all help explore deep within the different realms within your mind. The state of 'Superconsciousness' is essentially about being able to draw the benefits from all parts of your mind and activating them in unison as one. It is about being in an enlightened state with no limits, no worries, no complications - just simply being completely on the ball! The different MP3s in this pack will all help you bring forth the amazing powers that lie within the deeper parts of your mind & being and give you more control over how they all interact as one. Included are 5 MP3s (or CDs) Usually Valued at $75 - save $35! You are welcome to purchase any of these albums individually, but with this special pack you save money and also gain the benefits of adjunct use of the programs. This album features as the basis for this program. Using it will help you bring together all your unique inner qualities into one aligned force to experience the realm of Superconsciousness. Enhance your creative abilities for new levels of clarity & idea development. Includes bonus 30min binaural beat track. Helps you find complete peace inside your mind, often referred to as your center point. Very useful to balance your mind after high levels of thought activity. A very interesting program that helps bring forth your inner abilities of intuition, psychic power, and channeling. Helps open up different parts of your mind's eye. Learn how to lucid dream with the hypnosis session, and put it into action with the binaural beat session. Helps activate the powers of visualization and manifesting.